ครูเซ็ท แพลทตินั่ม นิวทราไลซิ่ง ครีม 1,000 มล. 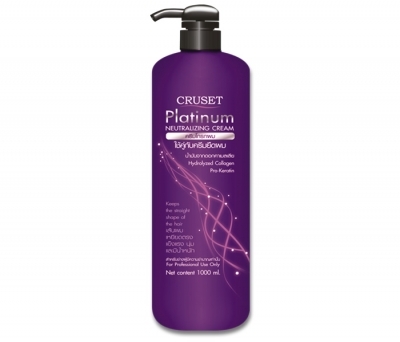 Cruset Platinum Neutralizing Cream 1,000 ml. Neutralizing for straightening with “Express Locked-System” helps to fix structure. Superior nourishing hair from the inside out with Pro-Keratin, Collagen and Japanaese Camellia Oil.